As one of the industry's top selling manufacturers of cast aluminum furniture, Hanamint takes pride in their classic designs and over the top quality. With a strong passion to providing amazing values and craftmanship that is second to none in the patio furniture industry, Hanamint is the best of the best. The Newport uses prime grade cast aluminum that is engineered to last the ages. The criss cross back design of this stool is simple and with or without cushions offers superb relaxation and comfort. 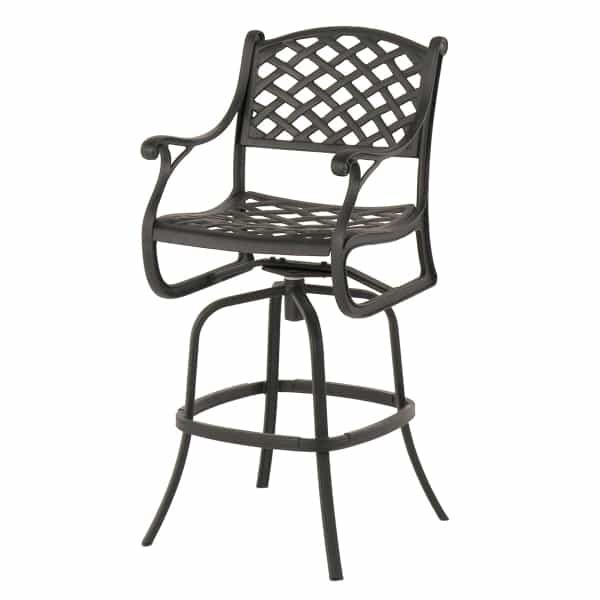 Perfect for outdoor use, this bar stool can be used at a table or at an outdoor kitchen.